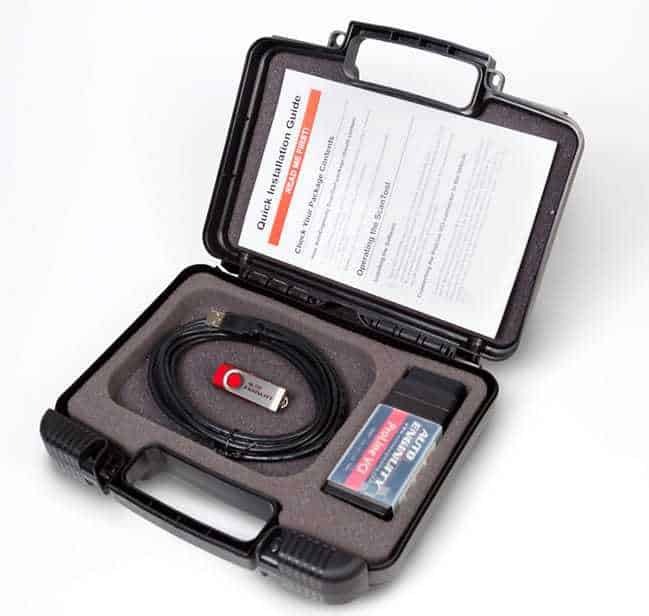 When it comes to diagnosing problems with a vehicle, nothing is as reliable and versatile as an OBD2 scanner. These devices work by identifying issues under the hood so that you can figure out the best way to fix it. However, while the scanner itself is critical, what’s more important is the software you use to see what’s going on. If your software isn’t comprehensive enough, you could wind up trying to fix a problem that isn’t there, or you may not find the right solution at all. 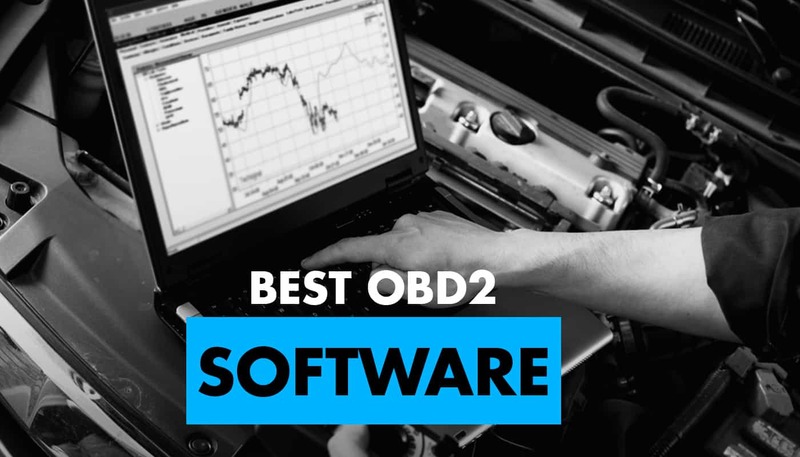 Whether you’re a car enthusiast or a professional mechanic, we’ve compiled a list of the best OBD2 software programs. These systems make it easy to diagnose what’s happening so that you can keep your vehicle in pristine condition at all times. Let’s see what they have to offer. When it comes to getting the right OBD2 software for your vehicle, you want something that is as comprehensive as possible. Since many modern cars have proprietary codes and systems that update with each new model, you have to be sure that you have a program that won’t let you down. Also, it’s not enough to just have OBD2 scanning capabilities. Many new vehicles have ECU computer systems, which allow you to monitor the performance aspects of your car. 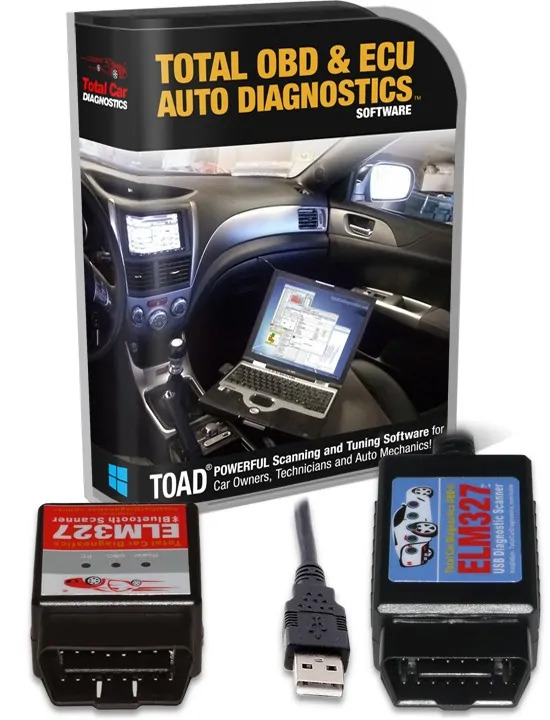 ​Fortunately, TOAD is the total package, meaning that no matter what make or model you have, you can find the code and diagnostic tool to fix any problem you encounter.On top of that, you can also “hack” your vehicle to perform better, meaning that you can do more with this single system. Since we’re focusing on OBD2 scan software, most of the programs on this list won’t come with their own scanners. TOAD, however, does. This makes it much easier to get started because you don’t have to worry about finding a scanner that is compatible with the system. Also, many generic scanners can be less than high-quality, meaning that you may encounter issues when trying to diagnose a problem. TOAD not only allows you to connect to your vehicle immediately, but it also has a Bluetooth option for wireless monitoring. One issue with most OBD2 scanners is that they only work with the top makes and models. Thus, if you have a European or Asian vehicle that isn’t covered, you’re out of luck. TOAD standard for Total Onboard Auto Diagnostics, and it’s not hyperbole. All cars, trucks, and SUVs around the world are included with this system. To make it even better, you get free updates for life. Other software programs require annual renewals to stay current with codes, but TOAD has you covered forever. You’ll never miss out with this system. If your car has an ECU system on board, then you can do even more with TOAD. 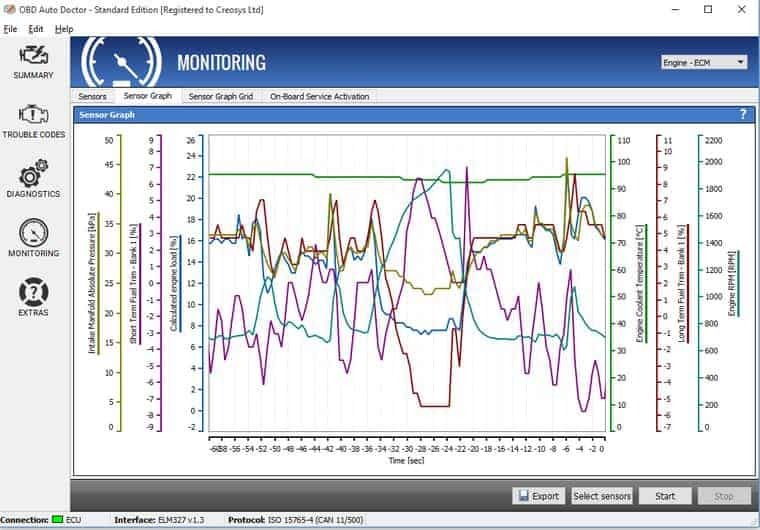 This software allows you to make adjustments to your vehicle’s performance, all from your laptop. You can study data in real time and see how your changes make it operate more smoothly. Whether you’re trying to get better gas mileage or you want to extend the life of your car, this capability can help you achieve those goals. Overall, TOAD comes with everything you’ll need to diagnose and troubleshoot problems with your car. It also provides online access to forums where you can find repair manuals for any make and model, as well as connect with mechanics to see what they’ve done. Simply put, no OBD2 scanning software is as comprehensive as TOAD. Really, the only downside with this program is that you can’t check anything outside of the OBD2 systems, such as brakes or tires. Also, if you have a Mac, you may not be able to use this software at all. Other than that, though, this is the ultimate scanning tool. ​As we mentioned, one issue with OBD2 software is that they may require you to buy separate scanning devices that might not be compatible. Fortunately, if you get the PCMSCAN from Palmer Performance, you can buy a scanner so that you’re already good to go. One thing that’s nice about this system is that it will work on both your computer or a mobile device. You can download the software onto your Apple or Android phone and diagnose remotely if necessary. We highly recommend having this service on your computer as well, though, so you can read data and navigate through menus even faster. If you’re worried about your older vehicle failing emissions tests, then you will love the fact that PCMSCAN allows you to run these tests in the comfort of your own garage. You can monitor the data and see what’s happening in real time, which can help you make adjustments for a cleaner, more fuel-efficient ride. With most OBD2 scanners, you have to be plugged in directly to the car to get a reading. With this system, you can access your vehicle remotely. Best of all, you can buy a scanner that can stay in the vehicle at all times, enabling you to check up on it whenever you like, even while you’re out in the field. Palmer Performance offers a variety of OBD2 scanning solutions, and this software helps you get the most out of your vehicle. You can check most of the big makes and models, and the fact that you can use your smartphone makes it even more convenient. The layout of the program is not as intuitive as other models, and the list of codes is not comprehensive. Also, if you want to adjust your vehicle’s ECU system, that’s not supported here. Otherwise, this is an excellent choice for car enthusiasts. In this case, you will have to buy a generic OBD2 scanner if you want to use this software. However, once you find something compatible, you can download this program wherever you want it to go, including your computer, tablet, or smartphone. 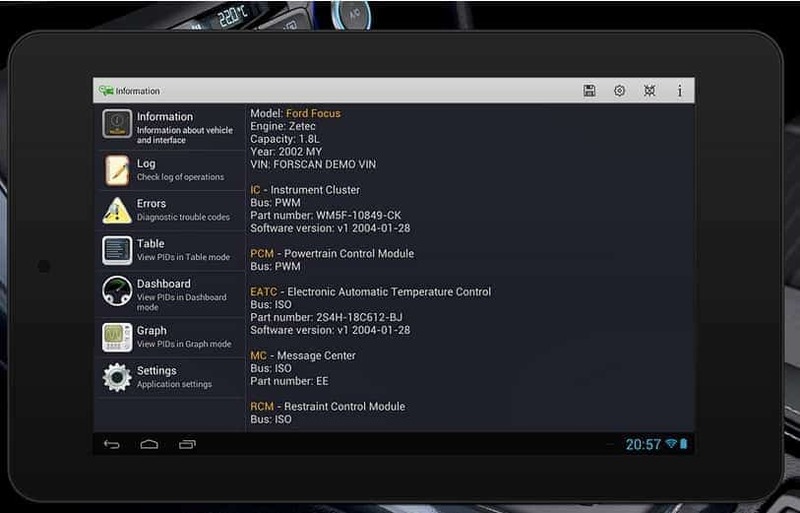 This is a relatively straightforward system that allows you to monitor many of your vehicle’s components in real time. 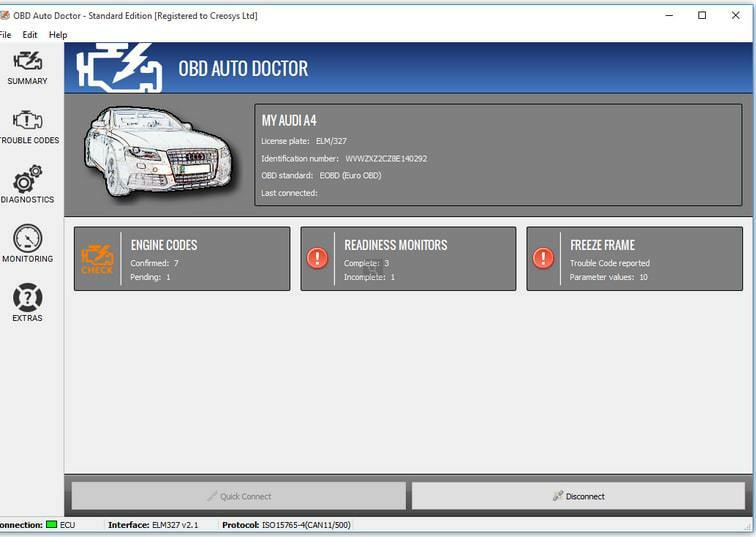 We like OBD2 scan software that works across devices, so it’s nice to know that you can deploy the OBD Auto Doctor on any computer or mobile phone. Downloading and setting it up is a breeze, and as long as you have a scan tool, you should be ready to go in minutes. For some auto enthusiasts, it’s enough to check the OBD2 codes whenever the check engine light comes on. However, if you want to make sure that your vehicle is operating in pristine condition, you need to run some tests. 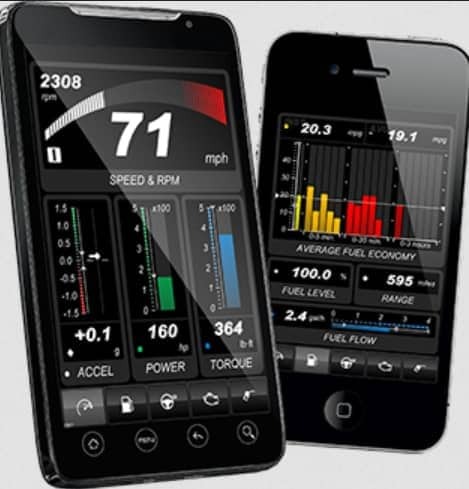 OBD Auto Doctor allows you to check a variety of systems so that you can drive at peak performance. Best of all, you can save and compare this information to see how your car handles over time. The onboard interface for this program is one of the simplest options we’ve found. In some cases, the layout can be a little confusing, particularly if you’ve never done this before. However, almost anyone of any skill level should be able to get up and running in no time. Overall, this is a very simple and straightforward program. We like that almost anyone can use it, and we love that it’s compatible across all devices. You can do a lot of monitoring and scanning with this system, making it both versatile and reliable. You do have to find a scanner that works with the software, which can be a challenge if you don’t know where to look. Also, the database doesn’t provide details on all makes and models, so you might be out of luck if you have a unique car. One issue that you may come across when using an OBD2 scanner is that you may not have access to the proprietary codes listed by some auto manufacturers. While most dtc codes are universal, some companies have their own systems, meaning that you need access to them if you want to be sure that you’re diagnosing the right problem. If you have a Ford, Mazda, Lincoln or Mercury car, then FORscan is the best option for you. If you don’t, then you want to avoid this system because it won’t help with any other brands. That being said, if you have one of these vehicles, let’s see how it works. Overall, we know that many people have foreign makes and models, such as Honda or Toyota. Even other domestic brands like GM and Dodge are not included, meaning that this tool is severely limited. However, if you fall into one of these parameters, you will have access to a full list of codes offered by the manufacturer. In this case, FORscan is much better than using a generic scanner that may not have all of these tools. When it comes to reading and diagnosing a problem, we like convenience. The fact that FORscan has a mobile app means that you can troubleshoot like a champ, even if you’re out on the road. That being said, don’t monitor your car while you’re driving for safety reasons. ​When you have your vehicle in a safe area, you can run a variety of tests that help you get a complete picture of how it’s behaving. 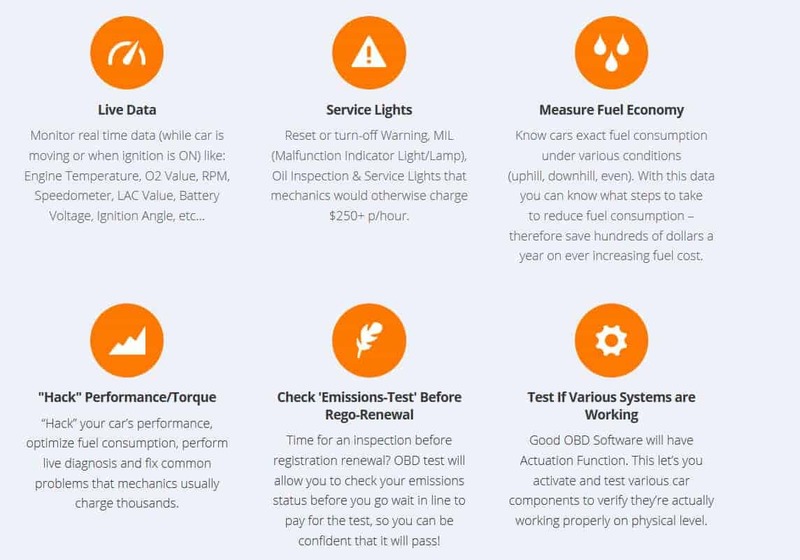 These diagnostics will ensure that you can perform preventative maintenance and upgrades on your car so that it’s operating in peak condition at all times. Also, save and compare this data to see how it changes over time. If you have a Ford, Lincoln, Mercury, or Mazda vehicle, this is the scanning software to get. Generic scanners may not have all of the codes, and comprehensive units will have a lot of unnecessary stuff to sift through to find the right material. This program is easy to use and install. As you can imagine, if you don’t have one of these brands, don’t bother with FORscan. Also, the software is not as powerful as others we’ve seen, meaning that it may freeze or glitch on rare occasions. If you’re looking for a simple, straightforward OBD2 scanning program, look no further than Autoenginuity. This software works for most of the high-profile makes and models out there, and it’s really easy to use. If you don’t care about bells and whistles, this tool will be a great asset. Although you may only use it for your personal car, it’s nice to know that it’s built for fleets as well. You can monitor every vehicle in the household, as well as compare cars that you may get over time. Save all of the data for recall later and set up different accounts so that you get a clear picture of each car you’re working on at any given time. Do more than see what’s causing the check engine light to come on. Run tests on your vehicles to see how they’re performing. Use this information to perform maintenance and upgrades as you see fit. ​Almost every domestic brand is covered here, as well as most popular foreign models. Although the list isn’t comprehensive, it should cover you with no problems. Also, having fewer brands to sift through can make it easier to find what you need. Overall, this system is simple and easy to use. It only includes 58 makes and models, which is less than most other programs. If your vehicle is compatible, then this is a suitable system to use. When it comes to diagnostic software, nothing compares to TOAD. The reason we like this system the best is that it offers comprehensive tools to check any make and model you may be driving. This is a professional-grade program, meaning that you can monitor a variety of component on your car, as well as hack it into better driving performance (provided that you have an ECU system on board). Also, we appreciate the fact that you get free updates for life. This is the ultimate scanning tool.